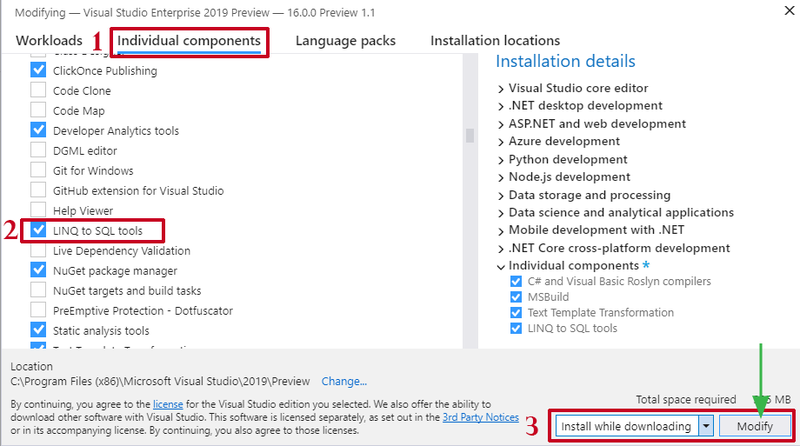 You may be wander when you will not find LINQ to SQL Classes in Visual Studio 2017 and Visual Studio 2019. Without having LINQ to SQL Tools, you will not be able to edit .dbml file in designer mode. Unfortunately, the LINQ to SQL Classes doesn't get installed by default but there is an absolute and easy way to add this feature later. In this article, I will show you how can you add LINQ to SQL Classes in Visual Studio 2017 and 2019. 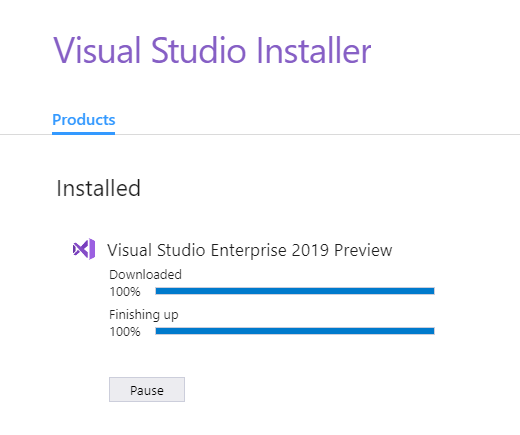 Step 1: Open Visual Studio 2017/2019 and Go to Tools > Get Tools and Features… It will ask permission for User Access Control. Click Continue. 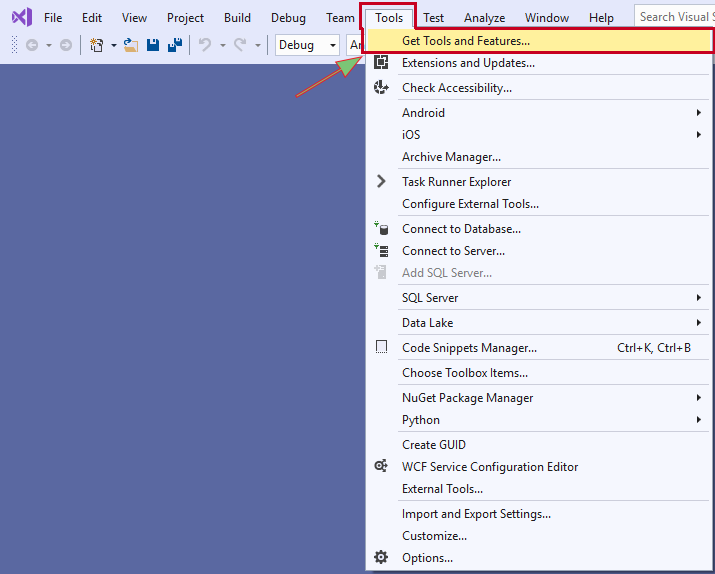 Step 2: Click on Individual Components tab and then search for LINQ to SQL tools and click on Modify button. Step 3: You will see the progress in next windows and when it finished, this tool can be found in Add New Item. 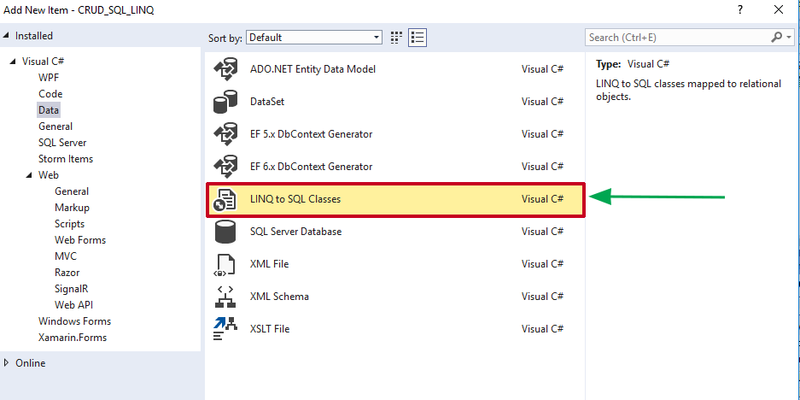 Step 4: Now go to Add New Item section, and you will be able to add LINQ to SQL Classes in your project. Using this method, you can install various additional tools and components. Don't forget to like the page if it solved your problem.